Rahukal is a period of about 1.5 hours each day that is under the rule of Rahu. 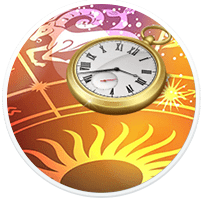 This period is considered unlucky for auspicious ventures by many Vedic Astrologers. According their opinion the work started in the Rahukaal will attract misfortune. Time time of Rahukaal depends on the weekday and the Sunrise time of that day. That is why Rahukala will be different all across the globe for any given day. This calculator will give you the actual calculation of the Rahukala for your city.